Sale of commercial vehicles in September 2017 rose much faster since last six years. 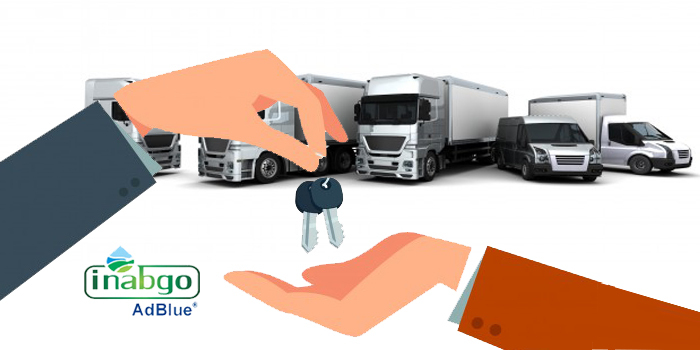 The sale of commercial vehicles is usually seen as an indicator of economic growth and the recent increase in sales could possibly be seen as a recovery of economy provided there are no other obstructions. According to the data released by the industry body of Society of Indian Automobile manufacturers (SIAM), it is estimated that manufacturers dispatched around 77,195 commercial vehicles. Sugato Sen, deputy general of SIAM said,” There has been a consistent increase in the sales of commercial vehicles in the past few months or so. The increase in sales of commercial vehicles could possibly be a sign of the economy recovering.” However, he also added that there should not be any more disruptions. There was a decline of 22.93% in April and 6.36% in May and a sudden increase of 1.44%,13.78% and 23.22% in the following three months. In September, the sale of medium and heavy commercial vehicles (MHCVs) increased 25.61% while that of light vehicles increased by 25.05%. Also, despite an increase in cess due to GST, the sale of cars, vans and utility vehicles went up 11.32%. The sale of two-wheelers also saw a boom and grew 9%. Increase in salary of government employees has also helped in improving the sales of passenger vehicles. In the two-wheeler segment too, the sale of motorcycles grew 6.98% while the volume of scooters rose 13.19% in September. Overall, the sales of vehicles in different categories; commercial vehicles, two-wheelers and commercial vehicles grew 10% compared to last year. Grant Thornton’s Sridhar feels that there will be more sales during the festival seasons. Sen also adds,” The effects of demonetization is slowly wearing off in the rural areas and there is an expected increase in the sales of motorcycles.” The increase in sale of commercial vehicles is partly due to the restrictions on loading which is placing demand on bigger vehicles and also partly due BS IV norms. Diesel engines are used extensively for heavy –duty applications and also used in passenger vehicles. However, the main cause of concern for regulation of diesel emissions is particularly due to emissions of Nitrogen oxide and particulate matter in the in the air. What are BS IV norms? The Bharat norms were introduced in 2000 and are basically emission control standards based on the Euro ( European )norms. These norms set limits on the release of air pollutants from vehicles and other equipment that use internal combustion engines. Higher the stage, more stringent is the norms. The BS IV norms were introduced in 2010 in 13 cities apart from the National Capital Region. As per the BS IV norms only 50 parts per million sulphur is stipulated compared to the 350 parts per million under BS III norms. The nitrogen oxide, hydrocarbon and particulate matter emissions are also low under BS IV norms. The Supreme Court has declared that all vehicles should be BS IV compliant from 1st April 2017. This is a major step by the government as several developing countries including China has upgraded to Euro V norms and India is still lagging behind. Owing to this, India is planning to skip the BS V norms and implement BS VI norms by 2020. Besides, several cities in India already have poor air quality and the health cost of air pollution is estimated to be 3% of India’s GDP. Therefore, this initiative could very well be seen as a welcome step towards improving the air quality in India.. In addition to this, the government is also planning to reward old vehicle owners with a subsidy under the ‘cash-for-clunkers‘scheme. According to this scheme, owners of old and polluting vehicles will earn a subsidy if they upgrade their vehicles and make it BS IV compliant. A flipside to this could be high cost for auto makers and an increase in fuel prices too as oil refiners will have to produce superior quality fuel under the BS IV norms. As these environmental regulations are implemented globally, diesel emission liquids are steadily gaining importance. Diesel Exhaust Fluid is a non-hazardous urea-based chemical reactant that is specifically designed for SCR systems to lower NOx emissions. It is basically a no-toxic solution made of 32.5% urea and 67.5% de-ionized water. DEF is usually injected or sprayed into the hot exhaust pipes of diesel vehicles. The solvent used in DEF is dematerialized water while the urea solution is non-toxic, clear and safe to handle as the SCR systems are usually sensitive to any chemical impurities. The DEF breaks down the harmful NOx emissions into harmless water and nitrogen using an advanced catalyst system thereby reducing the amount of pollutants being released in the atmosphere. Although DEF can be stored in bulk, jugs or bottles, care must be taken to ensure that DEF is stored and transported properly. Interestingly, the amount of DEF needed is much less and can be replenished just like the way you re-fuel your diesel. Depending on how much you are hauling, 2.5 gallons of DEF for 800 miles may be needed. Also, DEF is easily available in most places having diesel fuel making it easy for everyone to purchase. Selective Catalytic Reduction is a technology that utilizes a catalytic converter and diesel exhaust fluid to reduce the NOx emissions. It is one of the most effective technologies that met the 2010 emission regulations and was used in heavy duty commercial cars. SCR technology along with DEF is a growing technology that meets the regulations and hence is gaining importance. A major advantage of SCR technology is that it provides the manufacturers with greater opportunities to tune engines and improve its efficiency along with increased power. Also, people who own vehicles fitted with SCR technology will enjoy better reliability and longer oil change intervals. All this not only helps save operating costs but also improve the life of the vehicle. With the implementation of BS IV norms, most vehicle manufacturers are preparing the new infrastructure to provide their clients with the necessary equipment and DEF. What are the advantages of DEF? According to a report, the diesel exhaust fluid market is estimated to reach $21.57 billion in 2022 from $10.64 billion in 2016. Globally, the diesel exhaust fluid market is dominated by key players such as Yara International, CF International Holdings, Total S.A, China Petrochemical Corporation, Inc. (US) and BASF SE (U.K.). Other innovators gaining attention include Nissan Chemical Industries, Ltd. (Japan) and Shaw Development LLC (U.S.).